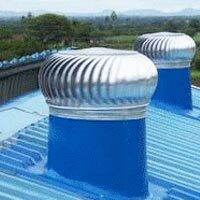 With our vast industry experience, we are engaged in offering our clients with Wind operated Turbo Ventilators. It is a natural, economical and effective way for exhaust of air round the clock without operating costs. 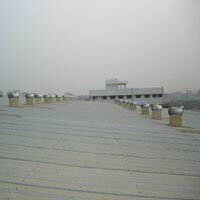 It is installed on the roof and is rotated by the wind, the stale air inside is exhausted and a natural inward flow of fresh air is boosted. 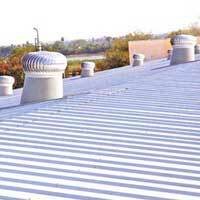 Ventilators prevent the build up of summer heat in roofs and thus reduce the cost of energy for cooling. In winters vents eradicate the build up of moisture in roof cavities that may contribute to a variety of structural problems.